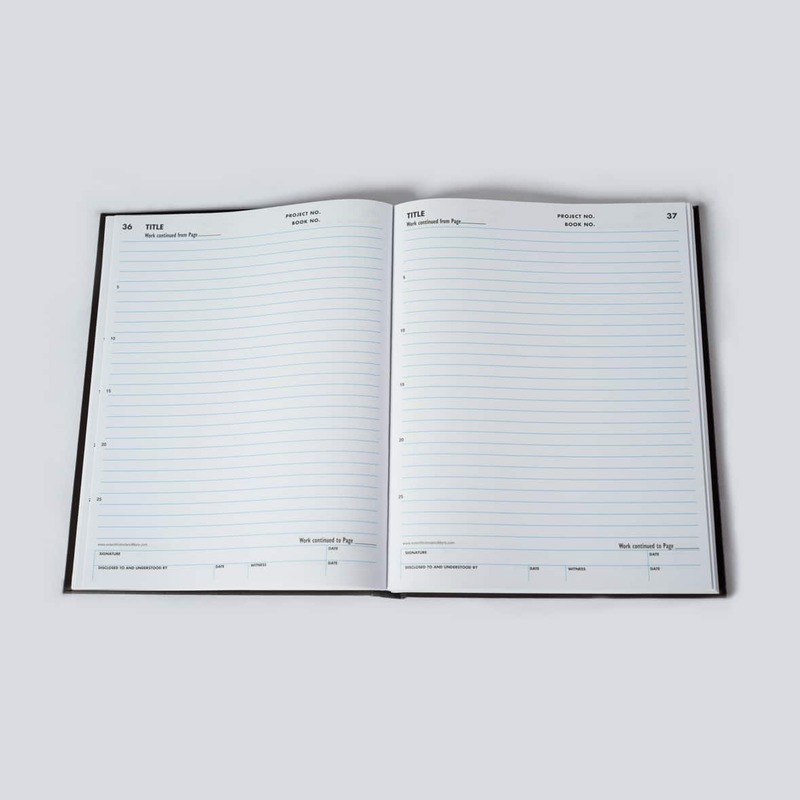 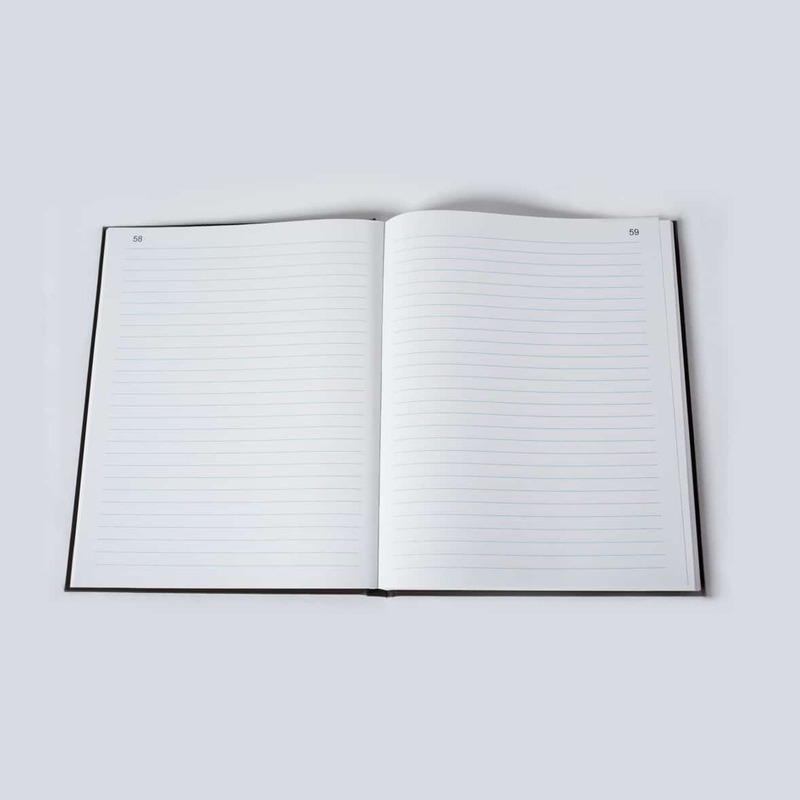 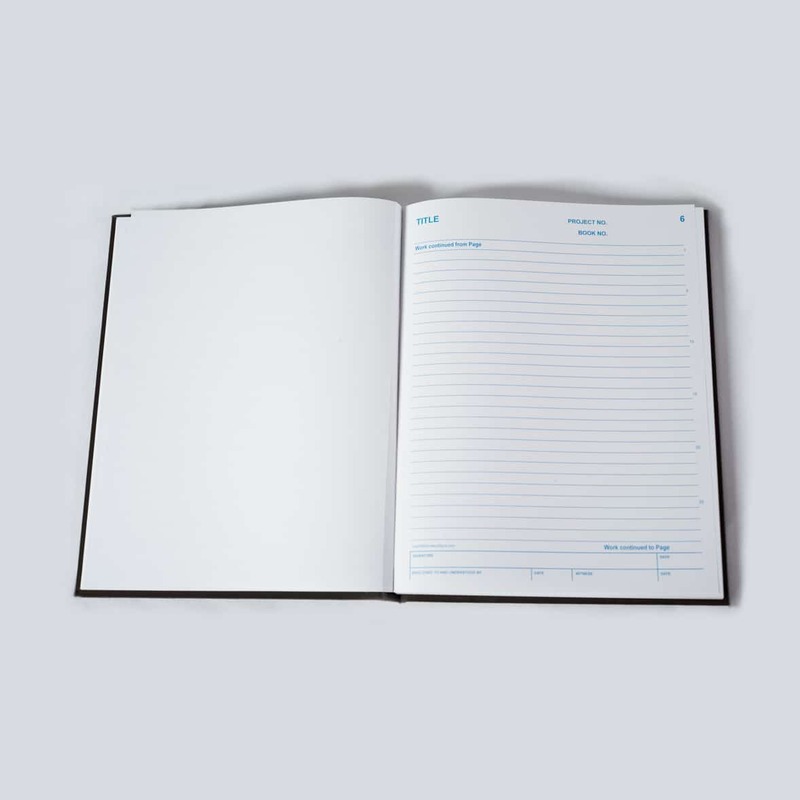 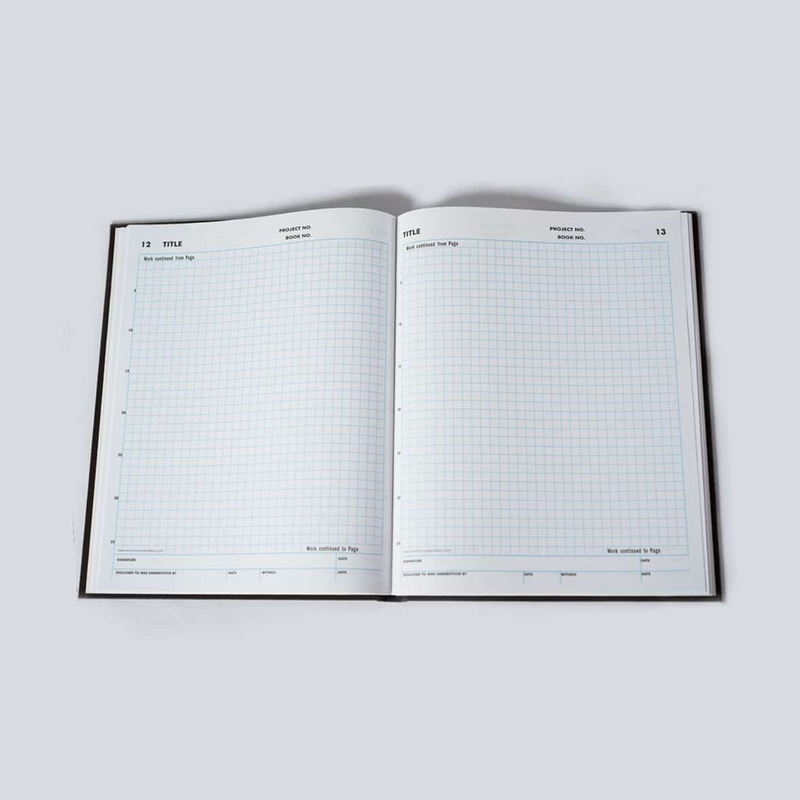 Ideal for patent-related research and as a laboratory notebook, this 8 ½ x11 inch book has 200 acid-free white pages, with light blue horizontal lines, permanently sewn into the book. 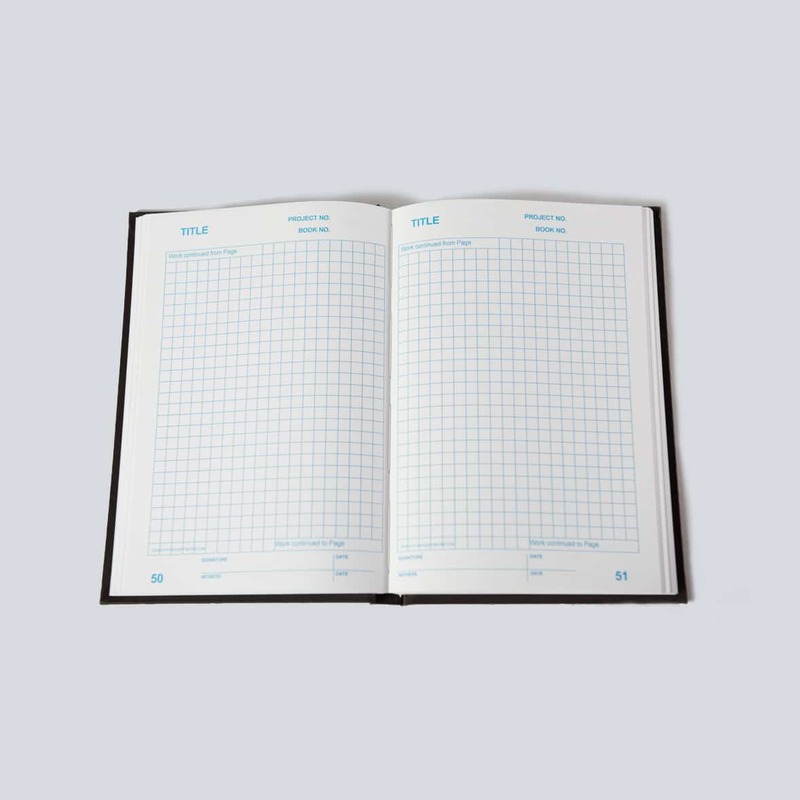 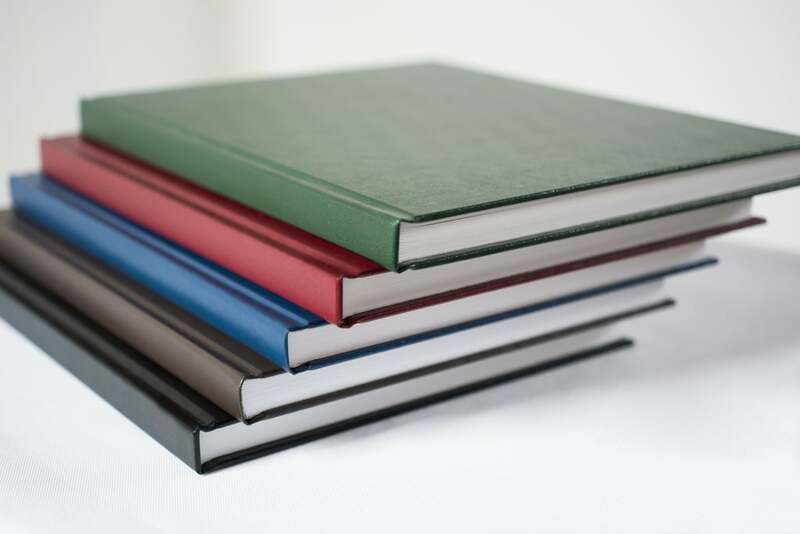 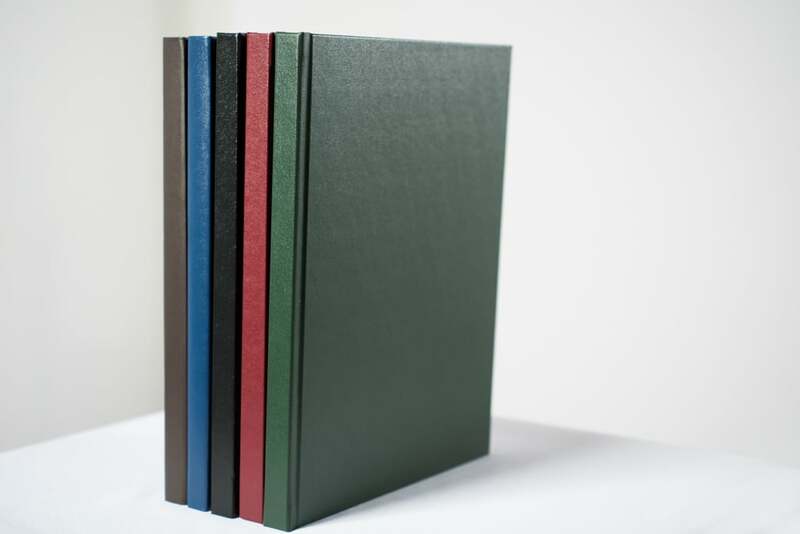 Each of these notebooks features a hard, extension-style, coated, washable cover. 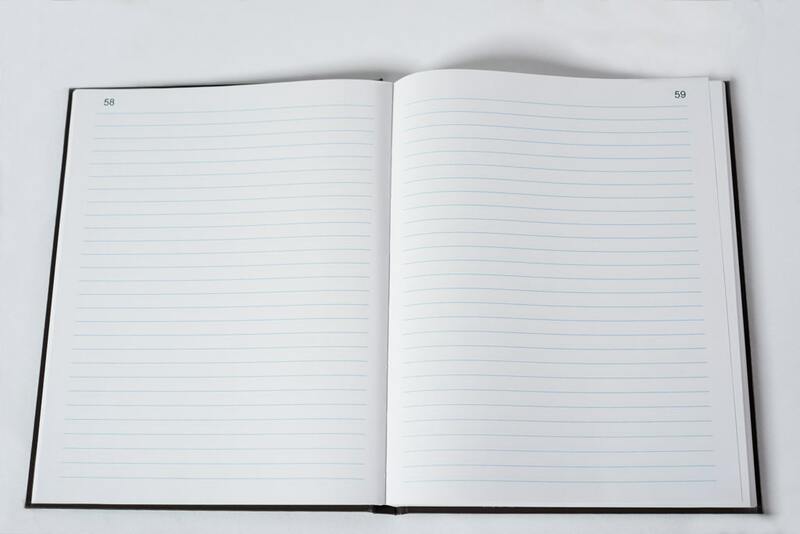 The pages lay flat when opened.